Dale is an experienced trial lawyer whose practice is devoted to a wide range of civil litigation focusing on the firm's core practice areas of environmental, land use, real estate, commercial, and water law. Dale appears on behalf of clients in both federal and state courts, as well as before administrative tribunals. Dale also assists clients in resolving disputes through alternative dispute resolution, including mediation and arbitration. 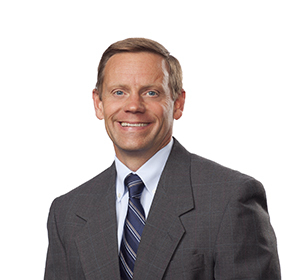 Dale has represented private and public clients on a wide range of issues, including liability allocations under Washington's Model Toxics Control Act ("MTCA") and federal "Superfund" law, real property and land use matters, and lease and contract disputes. He has broad experience managing environmental issues in real property and commercial business transactions—providing counsel on a full-range of federal and state hazardous waste laws, investigations and cleanups, and regulatory permitting and compliance. Dale regularly works with clients to find innovative solutions for minimizing the financial liabilities associated with contaminated sites. In addition to his experience representing both public and private sector clients, prior to joining the firm, he served as an officer in the U.S. Army for over twenty years. While serving in the Judge Advocate General's Corps as the Chief of the Army's Environmental Law Division, Litigation Branch, at the Department of the Army Headquarters in Washington, D.C., Dale coordinated litigation strategy with the U.S. Department of Justice, Department of Defense, and other federal agencies, and served as Army counsel in complex environmental cases. While serving as a military attorney, Dale also performed duties as a senior prosecutor and tried numerous jury and bench trials in one of the Army's busiest criminal jurisdictions. Before becoming a Judge Advocate, Dale served as a helicopter pilot at various locations in the U.S. and abroad. - Prosecutor, XVIII Airborne Corps and Fort Bragg, N.C. Appeared in U.S. District Courts and Washington State courts throughout Washington representing both public and private sector clients pertaining to a variety of issues, including mining rights, landslides, wetlands, water availability, boundary disputes, property access, development rights, liens, construction defects, covenants and land use restrictions, leases and contracts, Land Use Petition Act (LUPA) appeals, and many other actions. Consistent success with both settlement and litigation of liability claims for remediation of soil and groundwater contamination. Represented the Army as agency counsel in complex environmental cases, including defense of natural resource damage claims at two of the nation's most contaminated Superfund sites and defense of CERCLA third party contribution claims in the wake of the Supreme Court's landmark decisions in Cooper Industries, Inc. v. Aviall Services, Inc. and U.S. v. Atlantic Research Corporation. Defended the agency in Endangered Species Act and National Environmental Policy Act cases; negotiated the Army's position in environmental litigation matters with other defendants and the Department of Justice. Federal and state court jury trial experience.